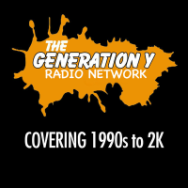 The Generation Y Podcast est. 2014. Amy was born in 1988, and Josh in 1986. In other words we grew up during the best time, where sugared cereals were plentiful, MTV played music , and Saturday morning meant cartoons and french toast crunch. Join us on our weekly journeys down memory lane as Josh and Amy relive the memories that you may have forgotten about. Starting in November 2014. Take a chill pill, relax and reminisce with us.